Rockoff - Columbia University Club of Washington, D.C.
Co-presented by the Columbia University Club of Washington, D.C. and the Columbia Business School Alumni Club of Metro D.C. Please join Columbia Business School Professor Jonah Rockoff, associate professor of Finance and Economics, who will speak to his research on the impact of teachers and reforms in District of Columbia Public Schools. RSVP is required. To register for this event, see below. If you have questions, please contact Alex Liebowitz at: a_liebowitz@hotmail.com. 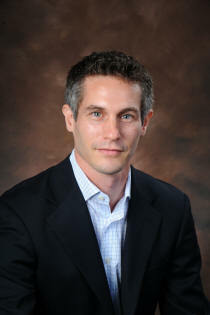 Jonah E. Rockoff is an Associate Professor of Business at the Columbia Graduate School of Business and a Research Associate at the National Bureau of Economic Research. Professor Rockoff’s interests center on the finance and management of public schools. His most recent research focuses on systems for hiring new teachers, the effects of No Child Left Behind on students and schools, the impact of removing school desegregation orders, and how primary school teachers affect students’ outcomes in early adulthood. He received his Ph.D. in Economics from Harvard University and a B.A. in Economics from Amherst College.